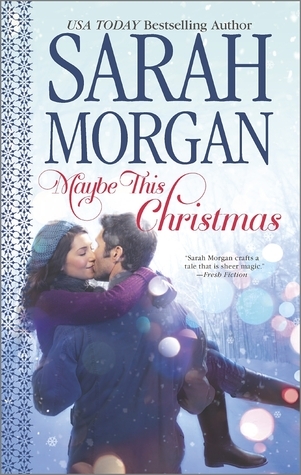 Ooo, I have a Sarah Morgan book at home! It's Sleigh Bells in the Snow. I'm glad to hear how much you liked this series. I can't wait to try this author out! I LOVED Sleighbells in the Snow! Kayla is such a fantastic character. This sounds good. I'm going to look for this series. This has been one of my favorite contemp series this year! LOL if the first in this series is on your TBR then the next 2 already are! I'd be surprised if you can resist the next 2 after the first. I'm surprised you haven't read this series. I think you'd really enjoy them. What helped me is that I read the whole series and have witnessed Brenna's feelings for Tyler. I think most of her hang-ups steamed from loving him in particular. This sounds good, I will have to add it to my TBR. I've really enjoyed this series! Definitely would recommend it! Yeah, Brenna had a lot of issues; it was a bit much at times. But as you know, I enjoyed this one a lot. I really enjoyed this one too I just liked the others in the series more.